The jury has reached its decision: After several days of assessing thousands of products from all over the world, the Everdure by Heston Blumenthal HUB™ charcoal barbeque received the highest distinction in the Red Dot Award: Product Design, the Red Dot: Best of the Best. 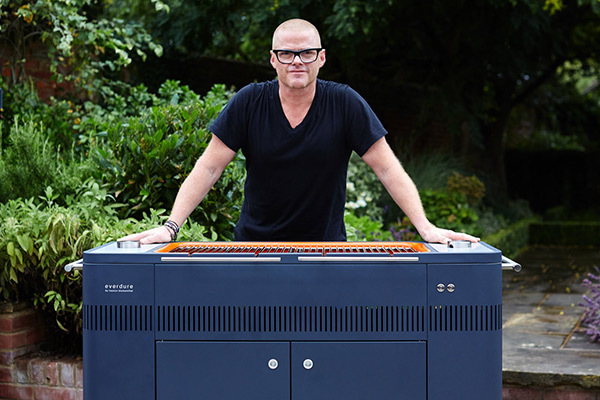 With the HUBTM, Everdure by Heston Blumenthal has created an extraordinary, innovative design and is thus one of the makers behind the best products of 2017. Whether you’re firing it up for some simple steaks, or going the whole hog with an epic rotisserie, the Everdure by Heston Blumenthal HUBTM is the perfect charcoal barbeque for outdoor entertainers. There’s no more messing around trying to get the charcoal started thanks to the Fast Flame Ignition System™. Featuring an integrated electric element, you can get your charcoal burning at the right cooking temperature in just 10 minutes. Thanks to the patented Rotiscope Technology™, you can quickly set up an authentic commercial-quality rotisserie for cooking over the coals at 3 different heights. The jaw-like Cliplock Forks™ ensure everything from chickens to suckling pigs are kept firmly in place as they turn, powered by a discreet motor tucked inside the body of the barbeque. Everything about the HUBTM is designed to keep things easy to use while looking good. The sleek tapered legs, smooth stylish chrome grill handles, subtly integrated rotisserie, and the retractable power cords create a barbeque with the perfect balance of function and form. In total, the competition received more than 5,500 entries from 54 countries this year. The jury of around 40 independent designers, design professors and specialist journalists tested, discussed and assessed each individual product, awarding the Red Dot: Best of the Best for ground-breaking design to the HUBTM. 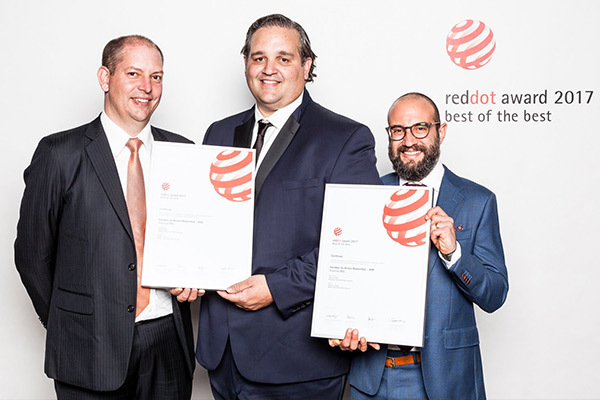 The Red Dot Award: Product Design 2017 will culminate in Essen on 3 July 2017. This is when the Red Dot: Best of the Best laureates receive their trophies in front of around 1,200 guests during the Red Dot Gala award ceremony. At the subsequent Designers’ Night after-show party, the award winners will celebrate in the midst of all the prize-winning products in the Red Dot Design Museum Essen. For five weeks, the special exhibition “Design on Stage” will present the awarded products of the year as part of the world’s largest exhibition of contemporary design. The Red Dot Design Yearbook 2017/2018 also comes out on 3 July. The international reference work for award-winning design presents all of the year’s winning products. The Red Dot: Best of the Best products and their makers will be showcased in a special way. In a designer portrait with interview, the reader will find out more about the design philosophy of the top names in the industry. All of the products will also be presented on the Internet, in particular in Red Dot Online.